Dear clients. 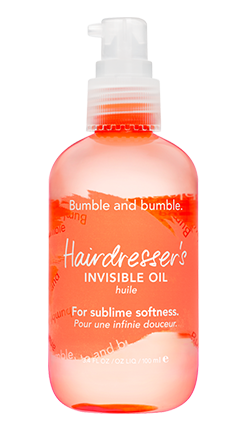 If you are looking for something that will help protect your hair from heat and UV rays this summer try the Bumble and Bumble Hairdresser’s Invisible Oil. It will also soften the hair, repair ends, and adds shine to the hair. You can use it on dry or wet. 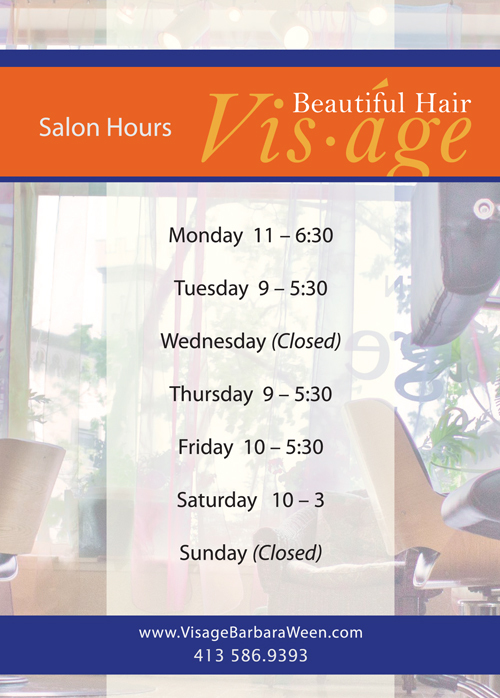 We recently made a slight change in our business hours. We will now be open from 10 am until 5:30 pm (instead of 6:30 pm) on Fridays. This entry was posted in Announcements on April 21, 2016 by vscentral. This entry was posted in Uncategorized on January 21, 2016 by vscentral. Em, a licensed cosmetologist, graduated from Kay Harvey, (now LaBaron Hairdressing Academy) in West Springfield. After graduating she became a stylist at an Aveda Concept Salon for 2 years, and attended many additional continuing education and training programs. In addition to hair styling, Em is also a makeup artist. She has done hair and makeup for weddings, hair shows, proms, daytime events and photo shoots. She is also a hair extension specialist including bonding, braiding, sew in, beaded, tape in and clip in. 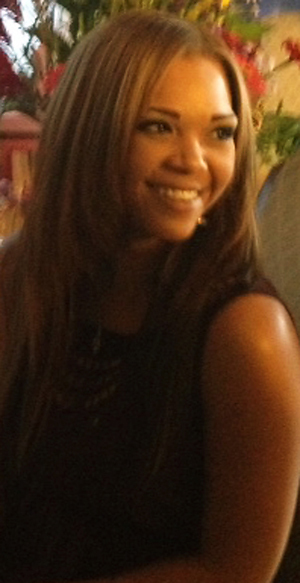 She is proficient and experienced in ethnic hair treatments, including straightening, cutting and curly style. Em loves to cut and color all hair types in a wide range of styles. 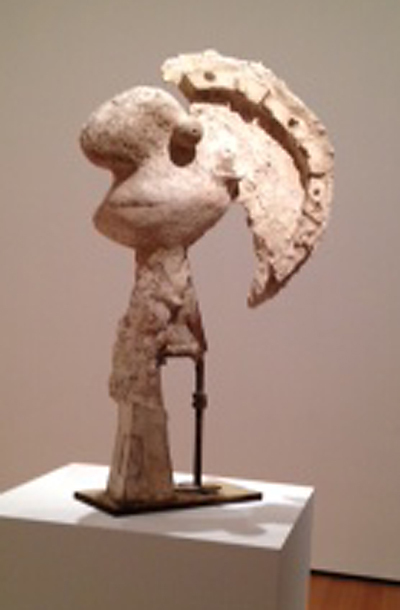 She is also a fashionista, keeping up with new trends in hair make up and clothes. An artist by nature, Em has been teaching ballroom dancing for 7 years and loves to sing and to paint and is committed to fitness and health. This entry was posted in Announcements, Em, Stylists on November 6, 2015 by vscentral. B and B has a new creme for your hair called Don’t Blow It to be used on days when you want to avoid heat styling. It is a first-of-its kind product formulated to give you a beautiful air-dried look with a product free feel. This is accomplished by combining polymers with plant-based conditioners that enhance texture and body, producing a lightweight, touchable finish. To use, simply work into towel-dried hair by squeezing or twisting. This entry was posted in Bumble and bumble, Styling and tagged B&b, Bumble and bumble, Don't Blow It, hair styler on June 19, 2015 by vscentral. B&b has just added to its Surf product line, Surf Infusion, blending tropical oils and sea salts that together help you create a wavy sea-tossed look with sheen. It can be applied anytime for soft, touchable waves. 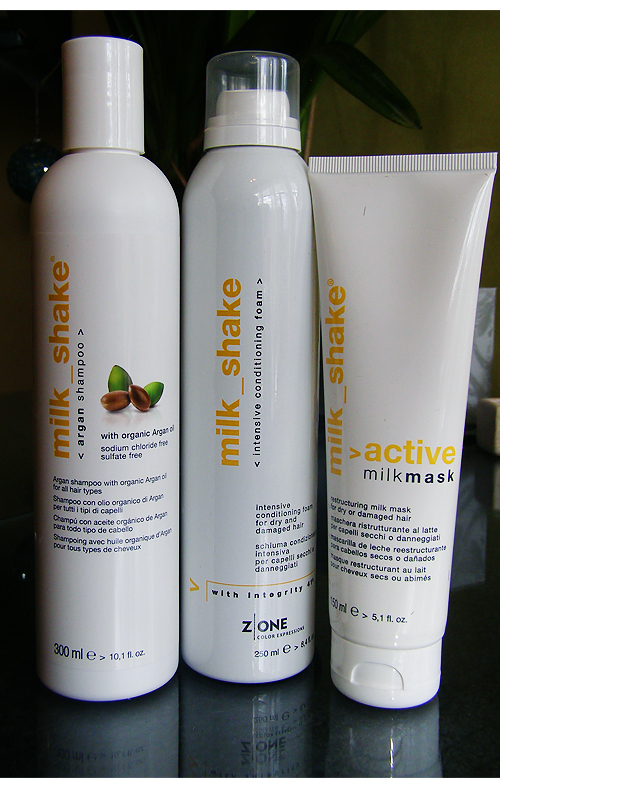 Excellent for dry and course hair on days when you want to avoid heat styling. To apply, shake well to blend the salt and oil bi-phase formula, then spray evenly on to damp or dry hair. Focus mainly on the mid-lengths to ends, then style and let dry. For more volume, diffuse the application. Surf Infusion works well together with Surf Spray when that product is applied to the roots. This entry was posted in Bumble and bumble, Styling on June 19, 2015 by vscentral. For those who aren’t aware, Barbara, when she isn’t styling hair, is a professional jazz vocalist and has been performing in the valley for decades. This September, 2013, she released her first audio CD at a performance at the Iron Horse Music Hall in Northampton as part of the 2013 Northampton Jazz Festival. 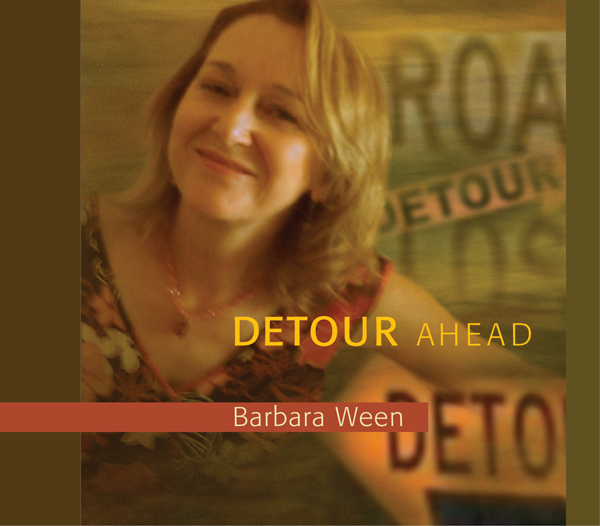 The CD is titled ‘Detour Ahead’ and is available by contacting Barbara through her website and blog – www.barbaraween.com. The CDs are also being sold at Visage Salon in downtown Northampton. Click Here to listen to excerpts from the CD. This entry was posted in Barbara and tagged Barbara Ween, Detour Ahead, new CD release, vocal jazz on December 3, 2013 by vscentral.